First came a “cordless” mobile phone . Then its size started to shrink and before you knew it began to flip. Then it became a smartphone. The smartphone turned into a touchscreen. 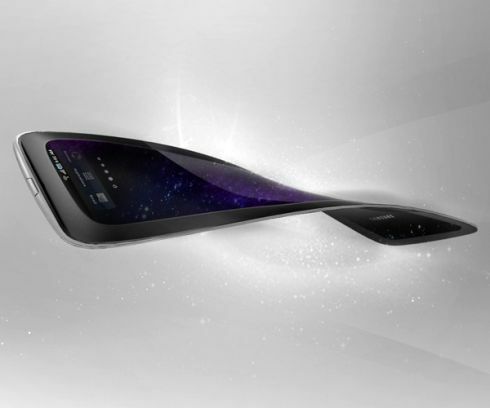 And now the world of smartphones has taken yet another leap – bendable phones! The rumors started to come back in 2011 and Samsung promptly denied those rumors. Things went quiet for a while, amidst the smartphone war between Apple and Samsung and the launch of Galaxy Note and iPhone 5. And now they gave it a tentative release time in 2013!! It uses the flexible OLED Technology along with a plethora of rumored plausible features such as a high-resolution 800×480 flexible AMOLED screen, a processor of 1.2 GHz and 1 GB of RAM and a form factor that measures 221mm x 67mm x 8 mm with 16GB and 32GB capacities. While I leave you with that thought, here is a mind blowing concept video that Nokia came out with, back in 2011.